I CAN MAKE YOU A CUSTOM ONE! Let's face it - we could all use a Wrapping Fairy at the holidays! Santa is quite lucky, with a myriad of elves and fairies to wrap up items big and small. This sweet little fairy, complete with an arm full of Christmas wrapping paper and teensy scissors, will at least motivate you to wrap, if not quite wrap the gifts for you! 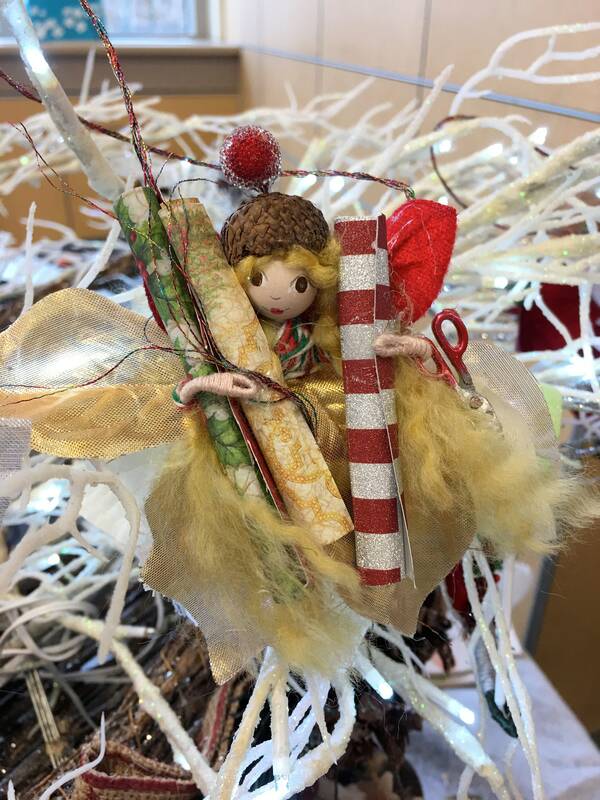 And she promises to add a bit of whimsy to your holiday decor. Makes the perfect hostess gift, secret Santa gift or a special keepsake ornament that will brings smiles from year to year. Please specify skin tone : fair (shown), medium, light brown, dark. If nothing is specified, skin tone will match the photo. December 1 customizing deadline for Christmas delivery.